Pioneer S-CN301-LR review | What Hi-Fi? 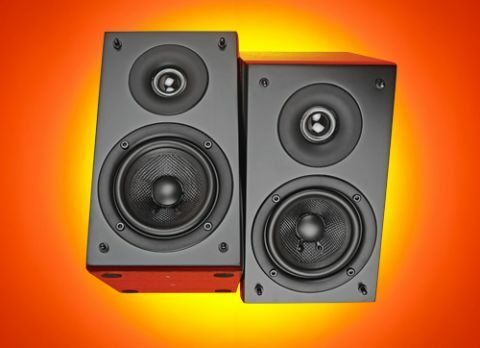 We’ve been smitten with Pioneer’s range of home cinema amps and budget Blu-ray players recently, yet it’s been a while since a pair of its speakers have passed through our test-room doors. So a warm welcome is given to its latest standmounts – the S-CN301-LRs. That might be a mouthful to pronounce, but remove the speakers from the box and they create a favourable first impression. A polished-veneer finish makes them not only one of the smartest speakers at the price but one of the best built too. Around a third smaller than most rivals, they can happily take pride of place on any bookshelf – good news for someone who’s lacking room space or doesn’t have the budget for stands. Needless to say, though, quality stands such as the Soundstyle Z2 would unquestionably deliver a more solid performance than any shelf. We give them a home on some Atacama Nexus 6 stands (£70) and, a couple of minutes into our first track – Alfie Boe singing Bring Him Home – it is obvious that good things can come from small packages. We’re met with clear, clean-cut vocals and an open, room-filling soundstage. Coupling terrific detail with nimble dynamics, the Pioneers dance around Tchaikovsky’s The Nutcracker: Waltz of the Flowers and keep neatly on their toes up and down the frequency range. There’s a meticulous sense of each instrument’s purpose as it flows fluidly in and out of Beethoven’s String Quartet in A Minor, Op. 132:1 Assai Sostenuto – Allegro. We’d go so far as to say that, at this price, they’re the most revealing speakers we’ve heard. What’s more, it’s a clean, measured and refined presentation that makes longer listens welcome. They do feel a bit lightweight far from a wall, however. We found that forsaking a more expansive soundstage by moving them close to a rear wall is justified by a more assertive bass presence. But even then, bass notes lack some depth and seem a touch divorced from the solid relationship between the midrange and treble. This is a more noticeable hindrance to upbeat, bass-driven music where rhythm is key. Put them head-to-head with their direct rivals, the Dali Zensor 1s (also £200) and that lack of drive makes Wyclef Jean’s Perfect Gentleman feel oddly tame – we much prefer being rapt by the Dali’s giddiness as a result of a finer balance between refinement and excitement. The S-CN301-LRs may not induce as much head-bopping as we’d like, but their distinguished, spick-and-span sound, insightful capability, and way with words will work wonders for anyone with a music collection that isn’t very bass-driven. And with a nicely finished neat design, they’ll surely be as appealing to the eyes as they are to the ears.